Structural Renovations have been working at Hallam House on Hallam Street since late 2018. 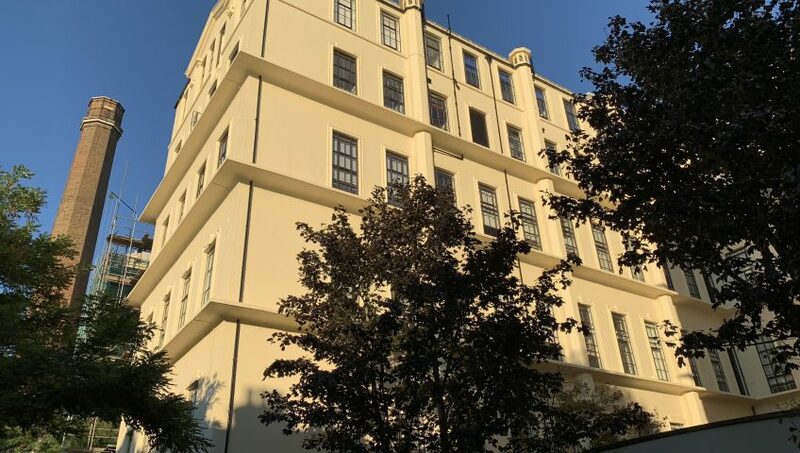 The building is part of the Langham Estate portfolio and we have been working closely with the Estate’s Principal Contractor, Millane Contract Services and the Consulting Engineer, Jacobs. The building is currently being refurbished and upgraded. In the basement plant rooms and brick vaults we have installed a new waterproof render using Flexcrete materials. Concrete repairs and anti-carbonation coatings have been carried out within the rear lightwell to the window heads and cills. Internally, the existing lift was removed, and we were required to carry out extensive repairs to the staircase that wraps around the lift core. Existing supporting steel work was cut out and the landings and strings were repaired back to the original surface profile as required by the contractor installing the new glass lift. 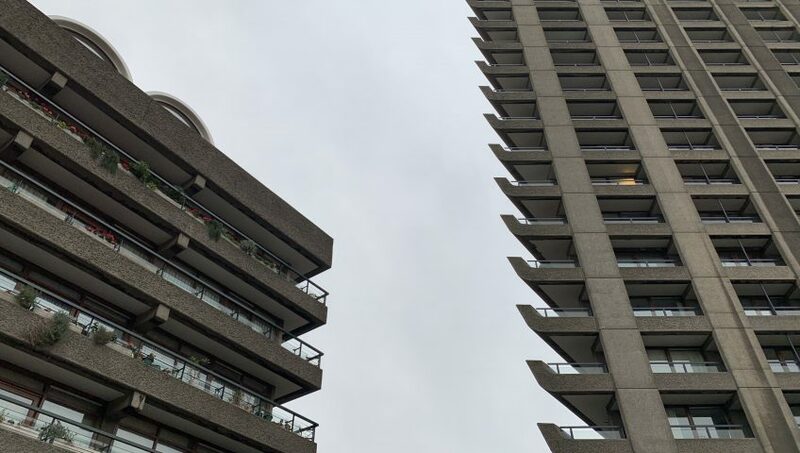 Structural Renovations secured a further phase of concrete repair work at the Barbican Estate in June 2018. The works include the 3No. tower blocks, 11No. terrace blocks and 9No. underground car park areas. 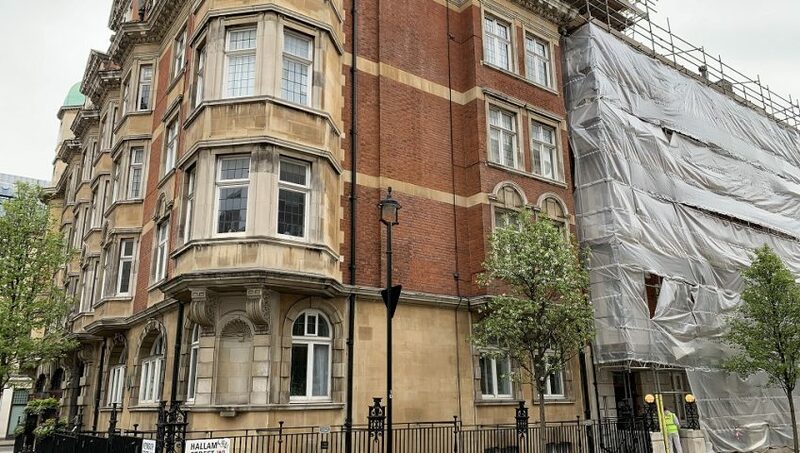 Similar to previous phases that Structural Renovations have completed the works involve repairing defective bush-hammered and fair-faced concrete surfaces, using specialist hand-placed mortars, approved by our client, the Corporation of London and English Heritage. In additional we are contracted to complete resin-injection to seal ongoing leaks from podium areas, together with the installation anodic protection, to control corrosion within the buried steel reinforcement. 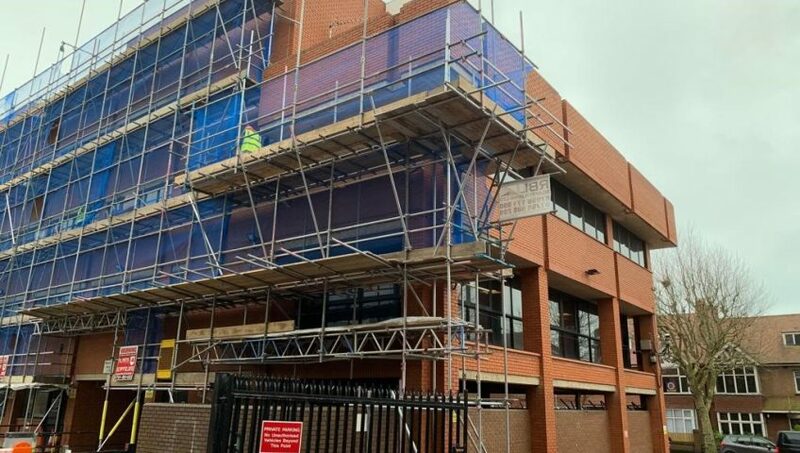 The works are being accessed by various means, including abseiling for the towers and terraces, scaffold for isolated structures and lightweight aluminium mobile tower within the car parks. The entire estate is Grade II listed due to it being one of London’s principal examples of Brutalist Architecture but meaning any necessary repairs are to be carried our sensitively, so as not to detract from the original design ethos of the architects, Chamberlain, Powell & Bon. The project is due for completion in May 2019. 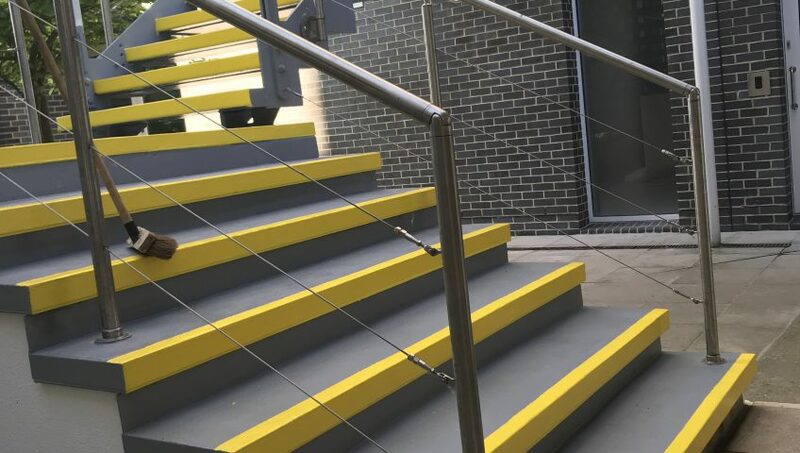 Work has recently been completed to a metal access staircase on a large business park in west London. Structural Renovations secured the project with a repeat business client, after providing assistance on the production of a suitable specification for the issues being encountered. 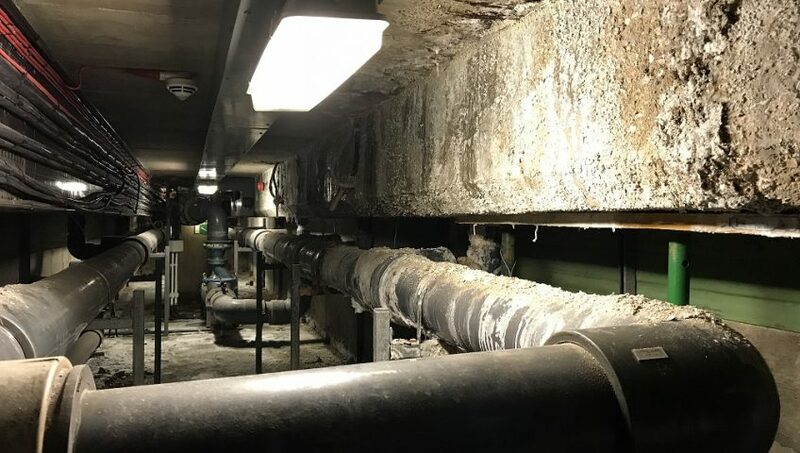 The staircase was suffering from extensive corrosion and failed coatings, which had led to the structure looking unsightly and potentially unsafe where the non-slip wearing surface of the treads had worn away. We took possession of the site in early April and closed the staircase off to the public and business park staff. Extensive protection was put in place prior to the entire structure being open blasted using a recycled glass media, to remove all existing coatings and corrosion back to a sound substrate. The prepared metalwork was then recoated using a 3 coat paint system usually applied in a marine environment, such as oil rigs, gas platforms and dockyards. The primer and intermediate coats were 2-component, epoxy based and the top coat was polyurethane based and also a 2-component product. The treads of the staircase incorporated a quartz sand to provide good slip resistance and the nosings of each tread were further treated with a 2-component, traction enhancing coating in a contrasting colour. The project was completed a week ahead of programme, despite suffering from poor weather conditions at various points.